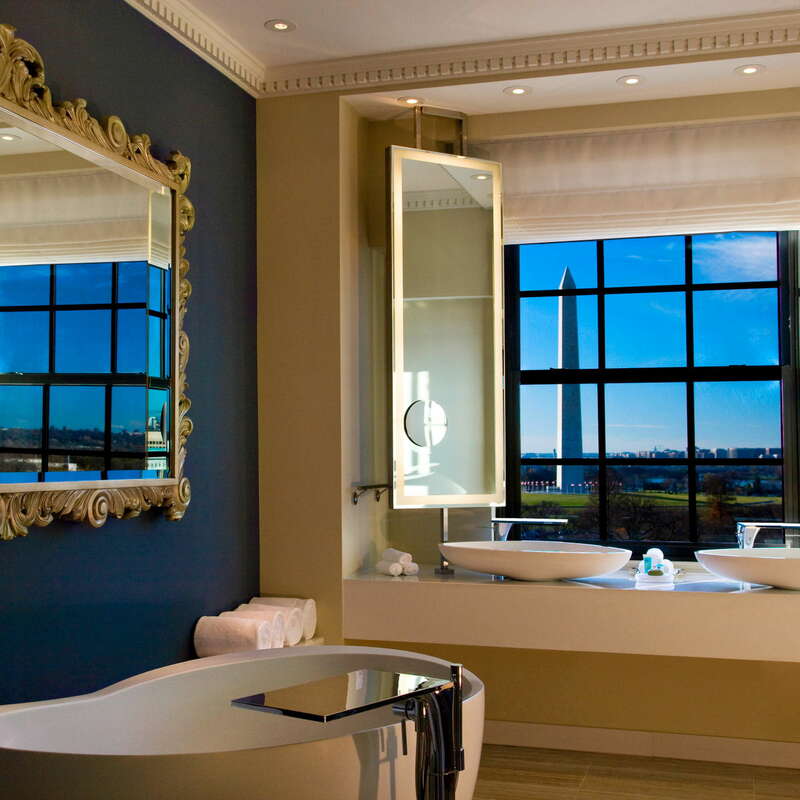 Beaux-arts grandeur meets pop-art chic at the former Hotel Washington, idyllically located a block from the White House and the National Mall. 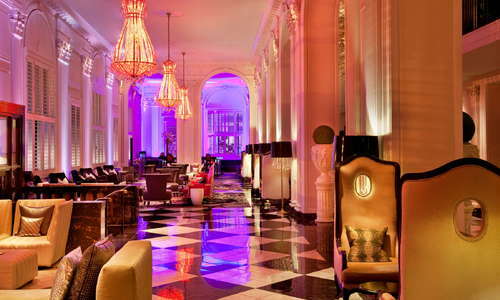 Originally built in 1917, the historic hotel has been “W-ed” to the max, with plenty of purple lighting, street-art murals, glass and mirrors, and funky house music. 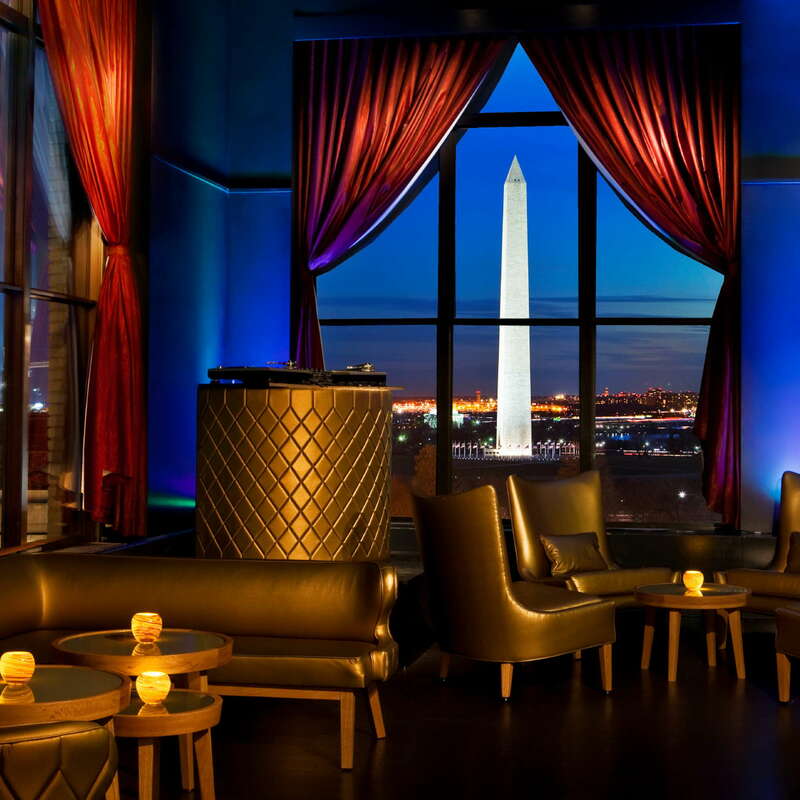 The rooftop POV is one of the city’s buzziest bars, with jaw-dropping views over world-famous monuments. Be sure to check out the free events at the hotel when you're in town, including rooftop concerts, fashion shows, and dance parties. 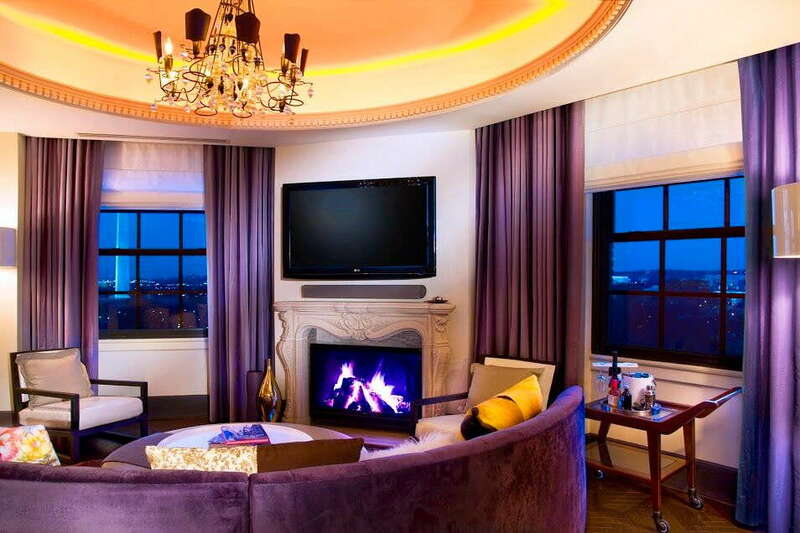 Ultramodern rooms and suites designed by Dianna Wong include signature W pillow-top beds, 350-thread-count linens, gilded mirrors, recessed LED lights, and tufted velvet couches. 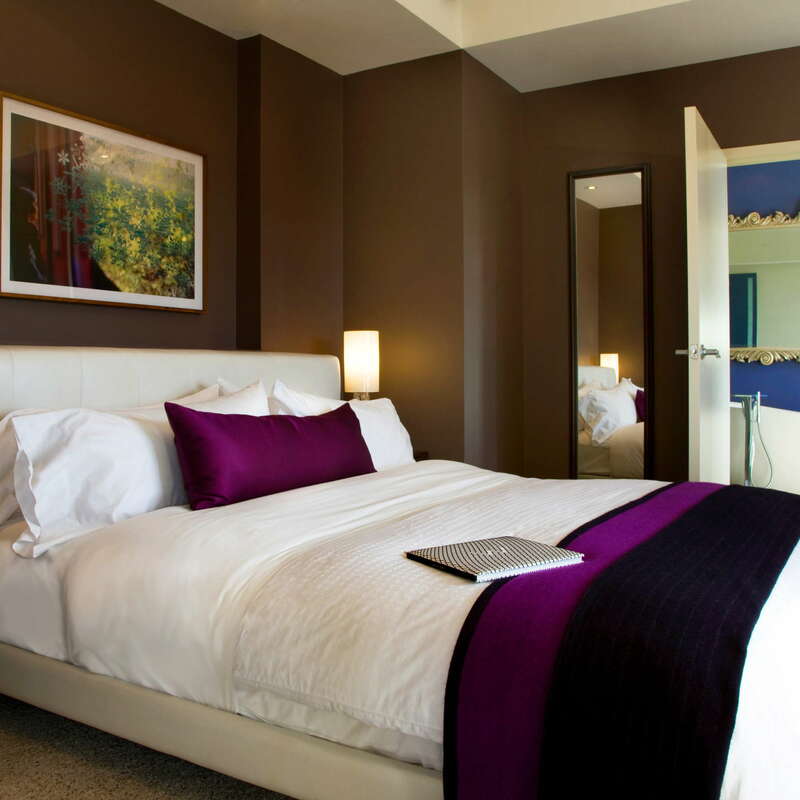 The black-and-white palate with accents of bold color is chic in an understated way. 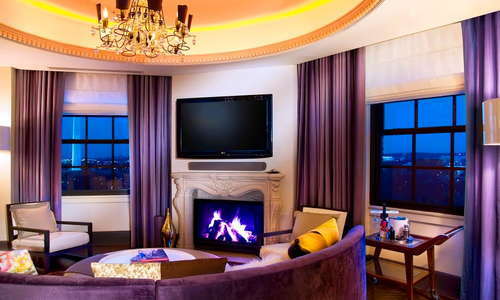 You’ve got to see the Wow and Extreme Wow Suites. YOU SHOULD KNOW Rooms can be small. And if you’re looking for a quiet place to stay, this is not the place for you (though rooms on doors 3 to 6 tend to be quieter). 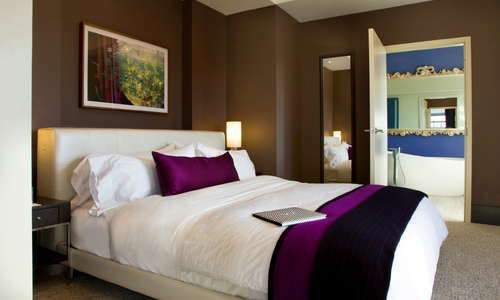 Depending on the room, the bathrooms can be small, but guests love the rainfall showerheads and Bliss bath products. The sink area is actually in the bedroom itself, adorned with a silvery mirror and chandelier. YOU SHOULD KNOW The showers are made of frosted glass—meaning you can see everything. 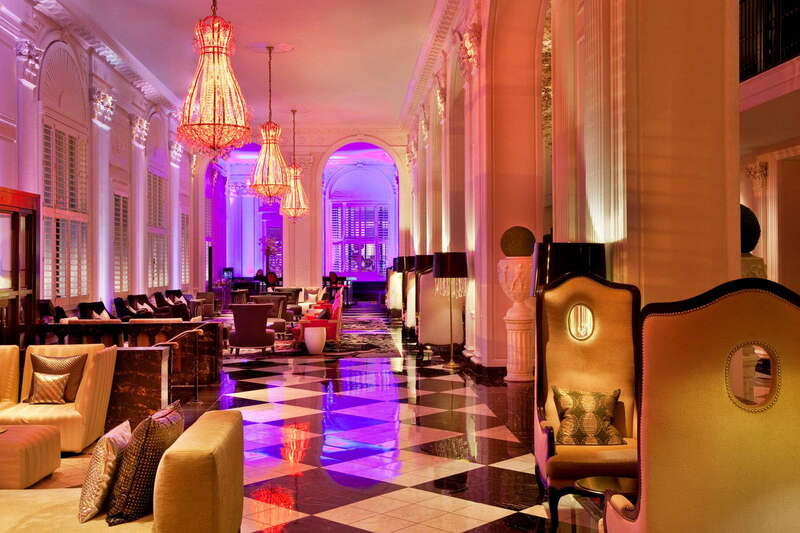 High ceilings, chandeliers, black-and-white-checkered floors, and upbeat trendy music give a jazzy vibe to the living room-style lobby’s historic neoclassical bones. No doubt about it, you are here to see and be seen. 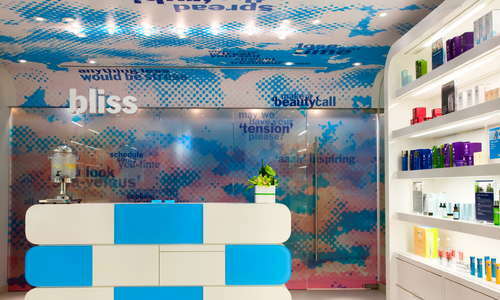 The Bliss Spa is a full-service spa, with plenty of whimsy and funk; in-room treatments are also offered. A small, 24-hour, well-equipped workout room includes personal trainers and, on request, boxing and yoga equipment. 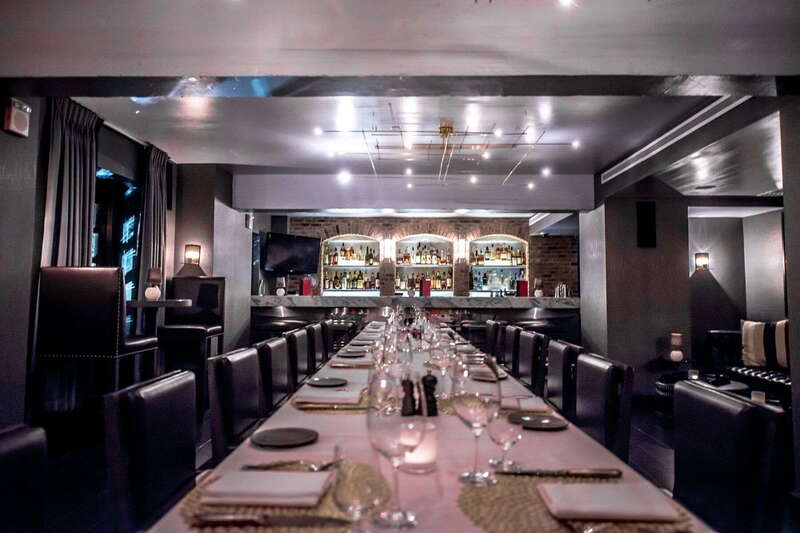 Pinea has Southern Mediterranean cuisine served amid oversized murals by local artist GAIA. Living Room Bar is a lounge-like bar and offers cocktails and small bites in a lively scene, complete with leather and animal prints. 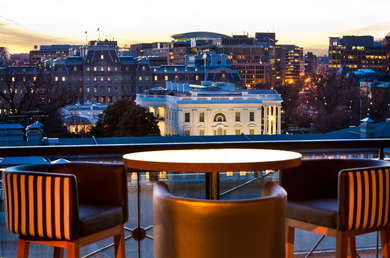 POV at W is a trendy (and sometimes snooty) rooftop bar and has views over the White House and the National Mall; the views are spectacular in the evening, when the monuments glow with ethereal white light. 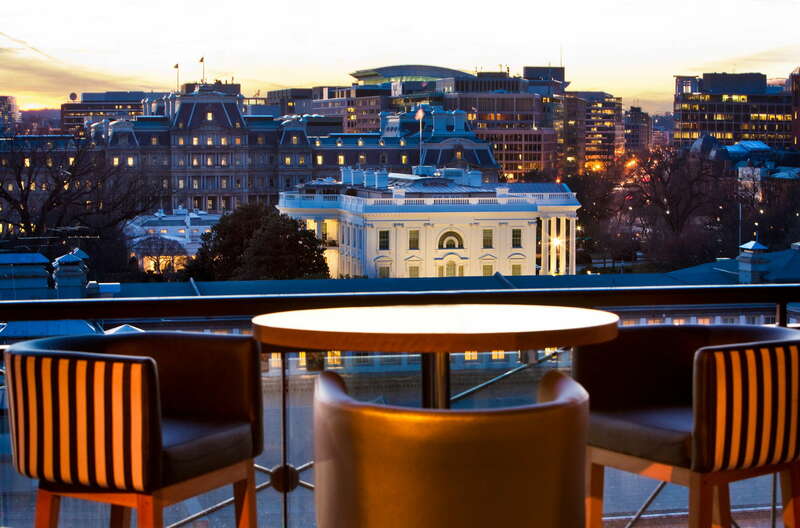 The location couldn’t be better, with the White House across the street and the National Mall a few blocks away. 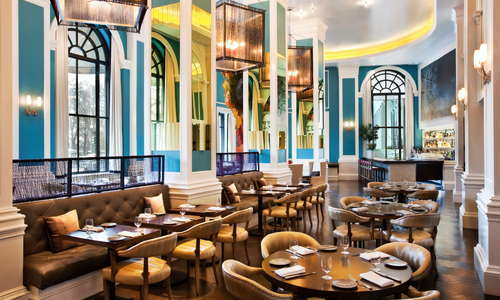 And if you walk east, you’ll run into Penn Quarter and its trendy restaurants and bars. Metro is the best mode of transport; the Metro Center station is a 3-minute walk. Dirty Habit (13-minute walk) has a somewhat odd insane-asylum theme (or maybe it’s Batman’s Gotham? 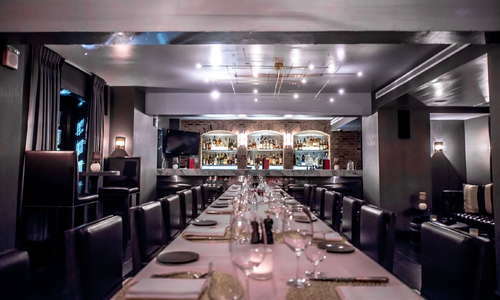 ), with high ceilings and dark metallic décor, but the global small plates are commendable; the cocktails are by San Francisco’s Sarah Ruiz. 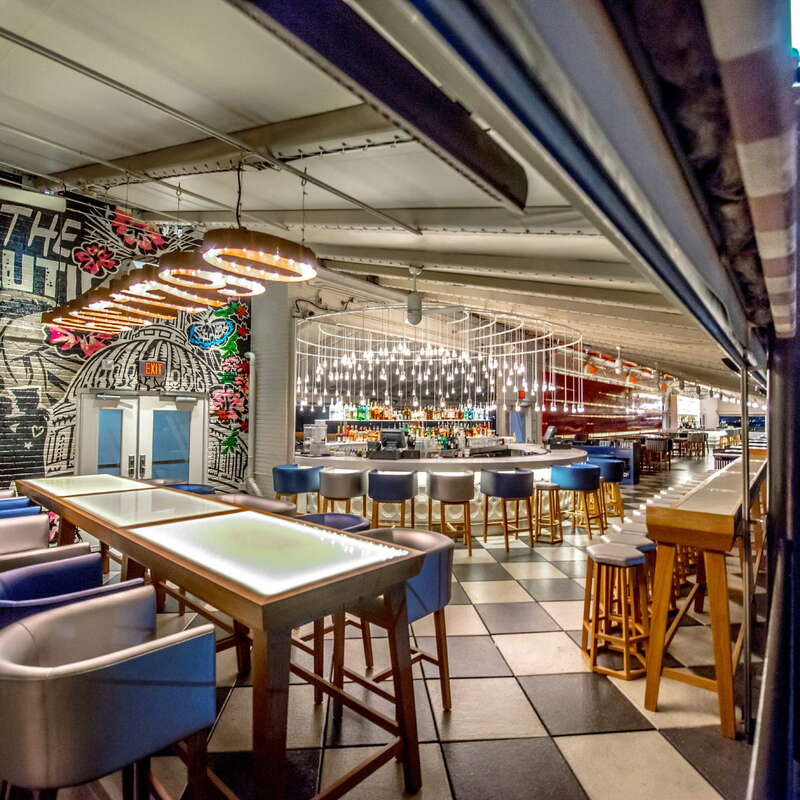 The Hamilton (1-minute walk) is a Clydes Group enterprise offering creative takes on American cuisine; live music takes place in the state-of-the-art venue downstairs. 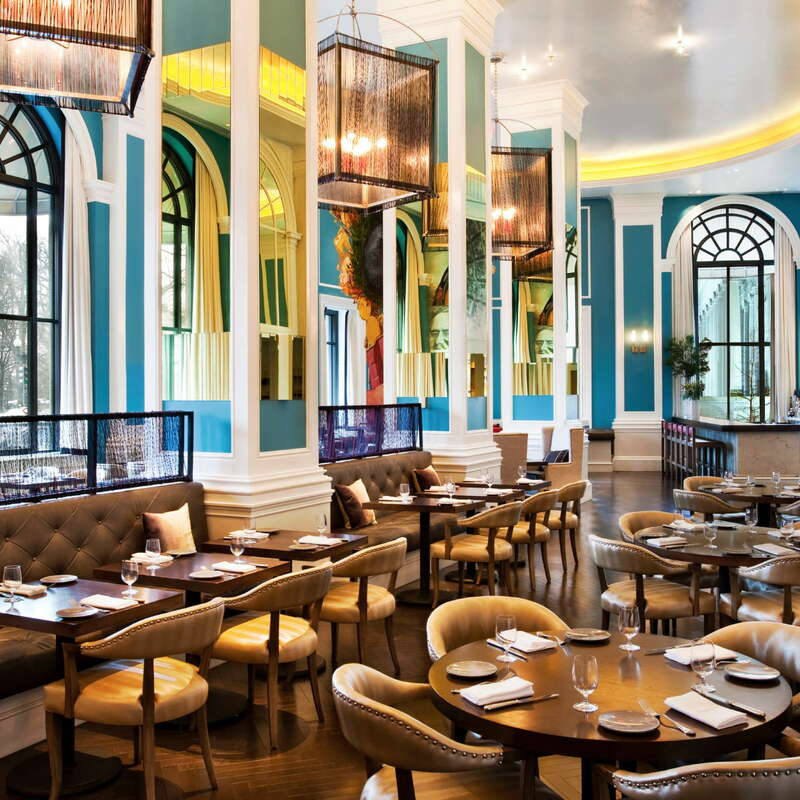 Barmini By José Andrés (12-minute walk) takes cocktails to a whole new extraordinaire (if you can’t decide, choose the $65 Cocktail Flight). 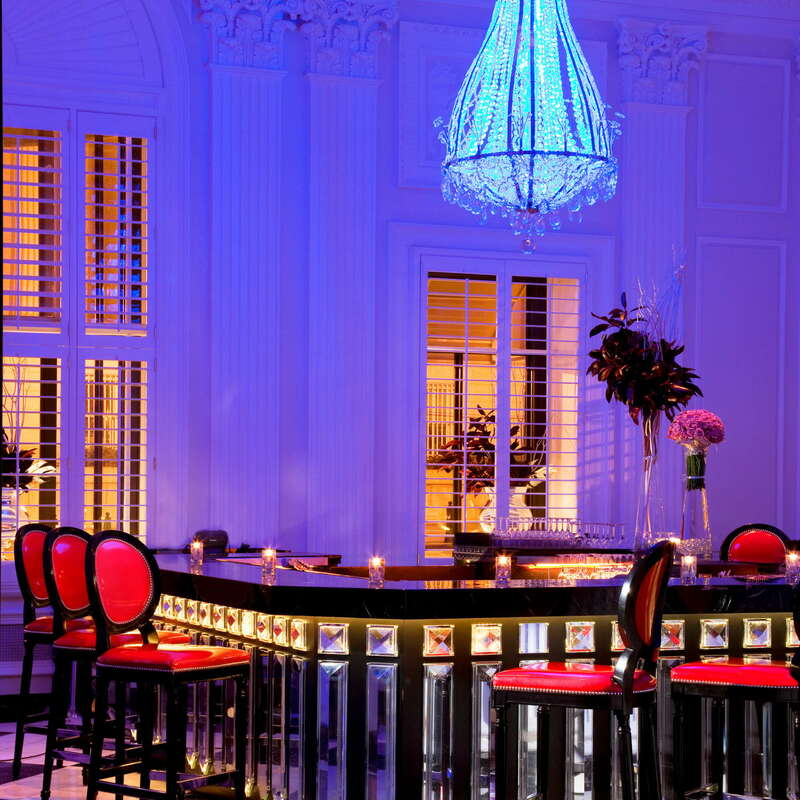 Art deco-esque design and old-school cocktails transport you back to the 1920s at the Denson Liquor Bar (16-minute walk). 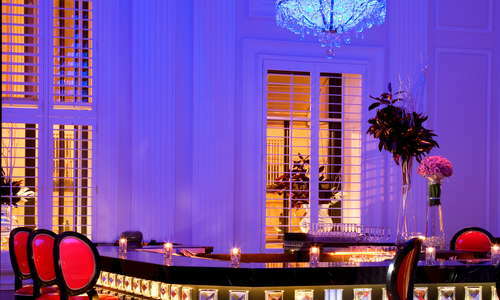 We head to this temple to hipness when we want to dress-to-impress and party-hardy in sometimes staid DC. 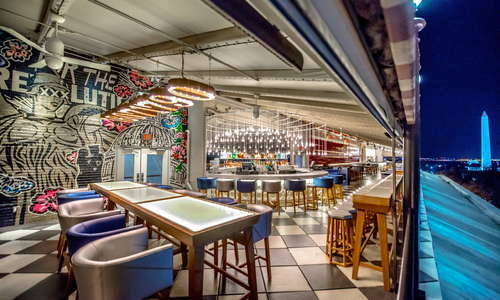 There’s a scene everywhere you look, from the blinged out lobby to POV, the buzzy rooftop bar. 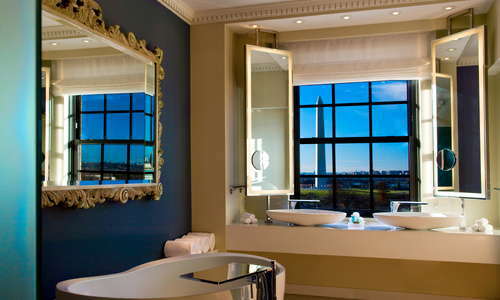 The location near the White House and National Mall isn’t so shabby either. 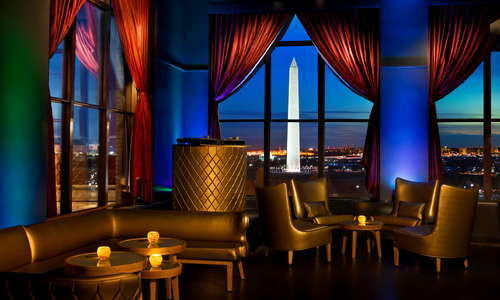 #4 The Best Hotel Rooftop Bars in Washington D.C.
#6 The Best Hotels for Rooms With Stunning Views of Washington D.C.